Potentially interested, could I get an idea of what you'd anticipate the pacing to be? Full-time employment and GMT time-zone tend to not make role playing easy. @akirashadow I don't want people to post every day, but a posting cycle once a week is good enough for me. Which means that one or two posts a week is good, methinks. As someone who is playing through as a Warrior, Summoner and Scholar (Vastly prefer Summoner), I am interested, I just really don't want to do very complicated names. 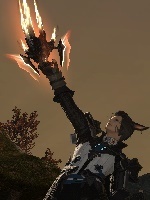 But I would want to do a Miqo'te Arcanist that would lean into a Summoner later, if that is okay. Would you be okay if he becomes the Summoner of the group as it progresses? @AmbraHm, I'll try to give it some thought. I just know I hate playing BLM, they're not bad, but turret mage isn't exactly what I call fun. But there are still other jobs to try before I decide to commit. Which is the fun part about preparation. @CAS1006 In the roleplay we're not going to be like pressing buttons to make a combo, so in this RP a thamaturge is more like an elemental mage. ^^ Again you can make what you want but we should strive to be somewhat different if we're both cat summoners. :P We can always talk about it more! @AmbraWe can maybe chat on discord. I would like to potentially follow suit of my actual character in FFXIV of a Miqo'te Pugilist/Monk. @akirashadow Is the posting frequency good enough for you? My Roe-Roe is gonna be surrounded by cats. Interested. though only played the game to be as said above. Loved being a tiny cook. Def interested in being a tiny among cat people. Long as there is a sufficient meat shield that keeps the rest of the comparably giant world away from me. I'm probably going to be the aforementioned meat shield. And I shall provide the food, perhaps rpwise I start off as a sort of cook or guide? Either way I have this whole deal where I can imagine my Tiny self being the resident worrywart, get a whole " party mother " going on.